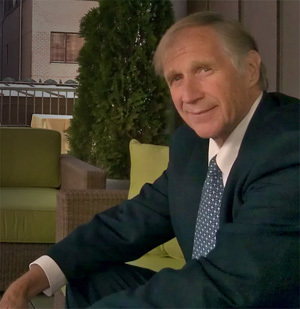 For several decades Dean L. Overman was a senior partner of Winston & Strawn, one of America’s oldest and largest law firms.. For many years he served as the partner-in-charge of the firm’s Washington office, practicing corporate law on behalf of multinational clients in a broad spectrum of legal areas. He is presently chairman of the Advisory Board of First Trust Portfolios, L.P., an asset management firm. While practicing in the area of international law, he taught a secured financing course as a member of the faculty of the University of Virginia Law School and also served as a Visiting Scholar at Harvard University. He was a White House Fellow and served as Special Assistant to Vice President Nelson Rockefeller and as Associate Director of the White House Domestic Council for President Ford. He is the author or co-author of six law books and six law review articles. He is the author of A Case Against Accident and Self-Organization, for which he was selected as a Templeton Scholar at Oxford University, the author of A Case for the Existence of God, for which he received a Templeton grant award, and the author of A Case for the Divinity of Jesus: Examining the Earliest Evidence, in which he examined how recent multi-disciplined scholarship confirms the work of his highly regarded Princeton professor, Joachim Jeremias. He received his Juris Doctor from the University of California at Berkeley (Boalt Hall) where he was a Sheffield Sanborn Scholar. He also did graduate work at the University of Chicago and Princeton Theological Seminary and was a Reginald Heber Smith Fellow through the University of Pennsylvania Law School. He plays a very mediocre game of tennis, can no longer slip a piece of paper under his basketball jump shot, and spoils a good walk with an erratic golf game.